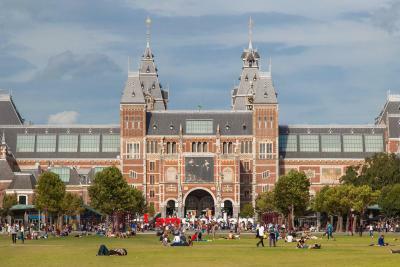 The location was really good as it was next to the park and near Museumplein. 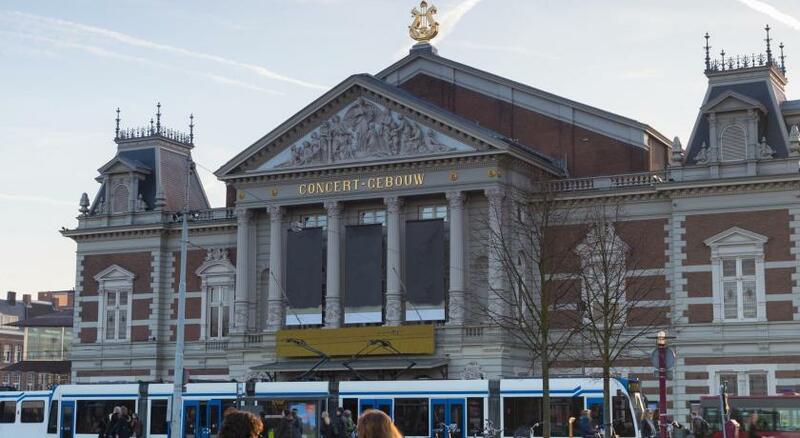 The cost was okay for Amsterdam. 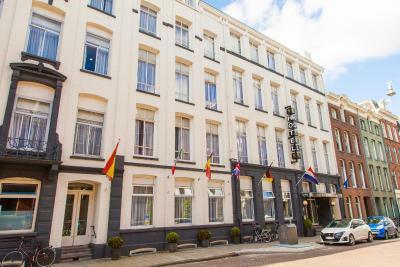 The location was fantastic, just far enough out of the canal ring for a quieter stay in Amsterdam. 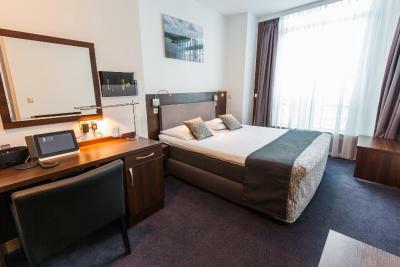 The rooms are very large, and the beds are very comfortable. Great location! 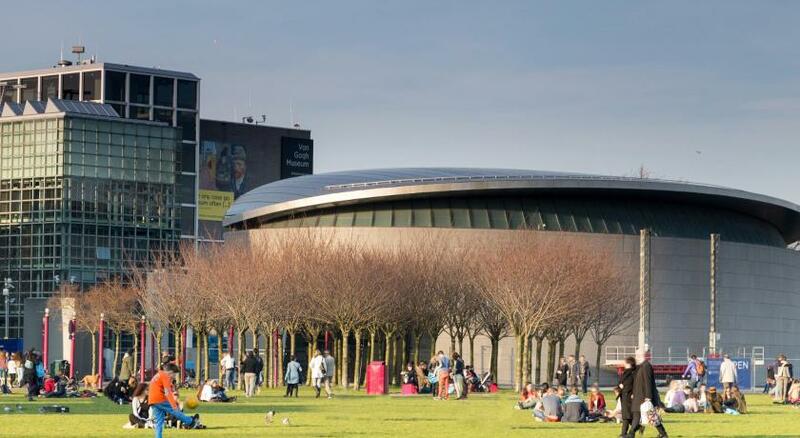 Very near the tram station and easy walking distance from attractions like the museums. Vondelpark is basically in the backyard of the hotel, so nice to explore the park easily by foot or by bike, which they rent at the hotel (cash only). Hotel was nice and quiet at night with no street noise, and we were on the ground floor next to the lobby. All the high end shops are located on the same street so can easily take advantage of that if that’s your thing. And very near the Hard Rock area where there are rows of restaurants, pubs, bakeries and pancakes! 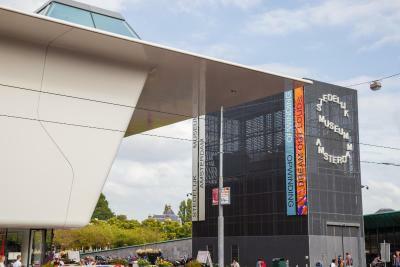 You can also hop on canal cruises there. Wouldn’t hesitate to stay there again. Some of the facilities apart from that we asked politely to swap our room from twin room to a double room because the upgrade room to 3 beds was a waste of money for us and only 2 people used it..In a twin room , the adults were not safe walking around , bumping into each other and against the beds, nor enough space to leave our hand luggage safely. Excellent accommodation, the family room was outstanding, we have 3 children, there was a great mezzanine above the bathroom with 2 single beds that was well received by the children. Nice breakfast too. The location was excellent I walked everywhere. Beds were comfortable water pressure was great. Close to museums and transportation. The family room has 4 beds that were comfortable even though they were small. It felt a bit like camp. Right next to Vondelpark. Excellent neighborhood and convenience. I especially enjoyed the added bonus of the coffee that was in the lobby. 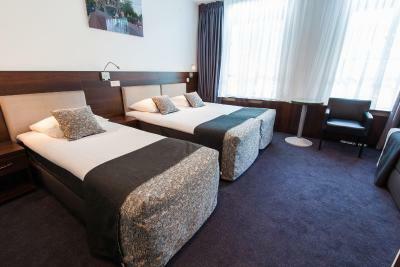 Hotel City Garden Amsterdam This rating is a reflection of how the property compares to the industry standard when it comes to price, facilities and services available. It's based on a self-evaluation by the property. Use this rating to help choose your stay! One of our top picks in Amsterdam.The famous Vondelpark functions as a backyard garden to Hotel City Garden, which is on the fancy P.C. 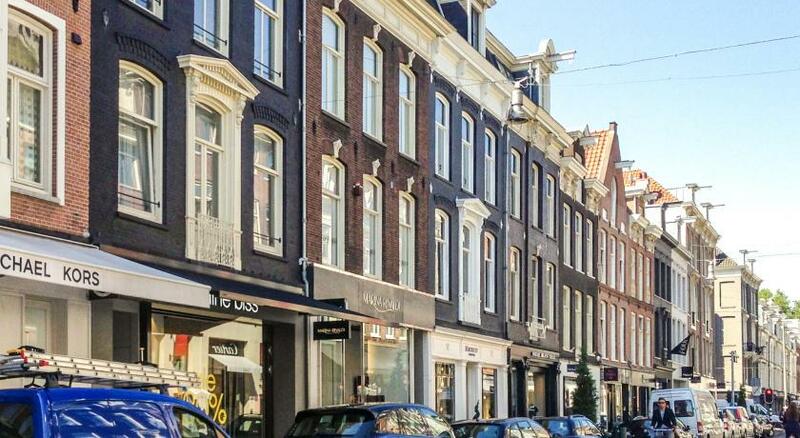 Hooftstraat shopping street. It provides rooms with street or park views. Free Wi-Fi is available throughout the hotel. The hotel rooms have private bathroom, a direct dial telephone and TV. 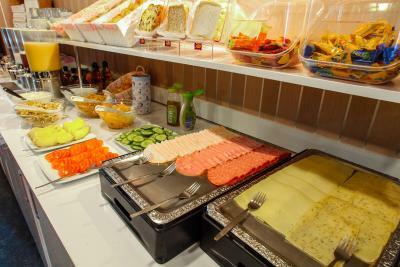 In the morning you can start the day with a breakfast buffet in the bright breakfast room with a view of the grounds. Hotel City Garden joins on to the Vondelpark, ideal for a lovely walk. 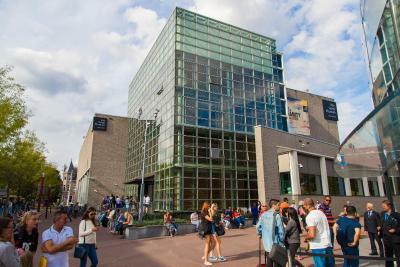 The historic center of the city and Leidseplein with its countless restaurants and bars are all within walking distance. 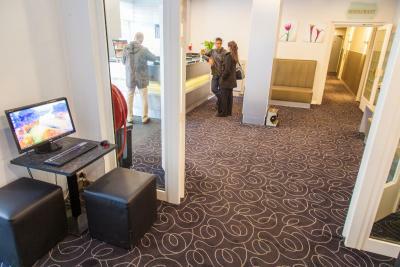 Guests can use the computer station in the lobby which has free internet access. 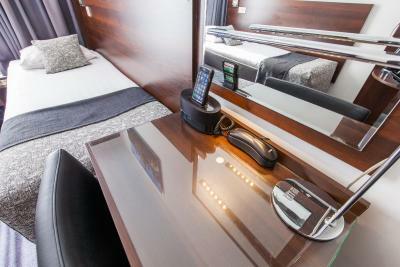 The hotel features a 24-hour front desk. 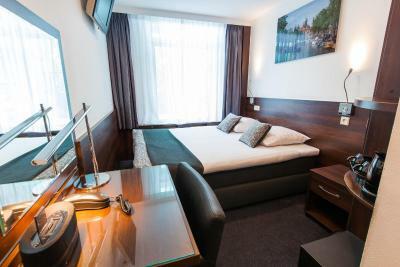 When would you like to stay at Hotel City Garden Amsterdam? 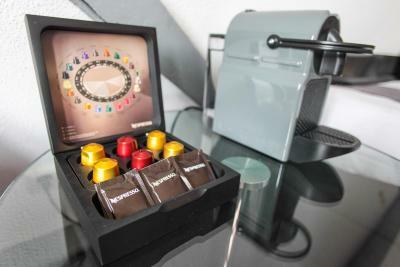 This room includes flat-screen TV, a work desk and tea/coffee-making facilities. A desk, flat-screen TV and tea/coffee-making facilities are standard in this room. It also has a bathroom with a shower and sink. This cozy room includes flat-screen TV, a work desk and tea/coffee-making facilities. 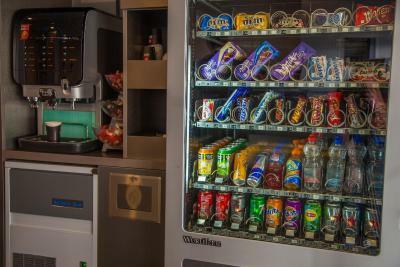 Each of these rooms has a flat-screen TV, a desk and tea/coffee-making facilities. It also has a bathroom with a shower and sink. Located in the souterrain, this Family Room comes with a private bathroom including a shower. 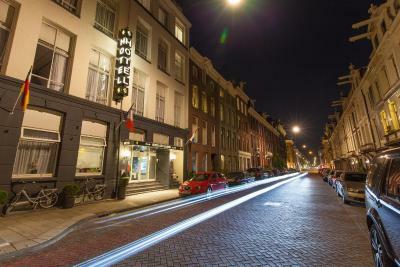 The hotel is located on the quieter side of the Amsterdam's most renowned shopping street P.C. Hooftstraat. 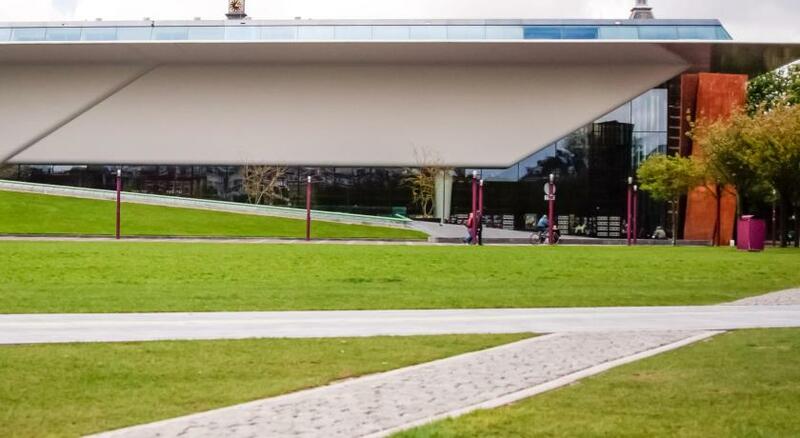 Right next to the hotel there is also located Amsterdam's largest park; Vondelpark. Its unique location offers convenient access to the city centre and museum district. It's an amazing location. 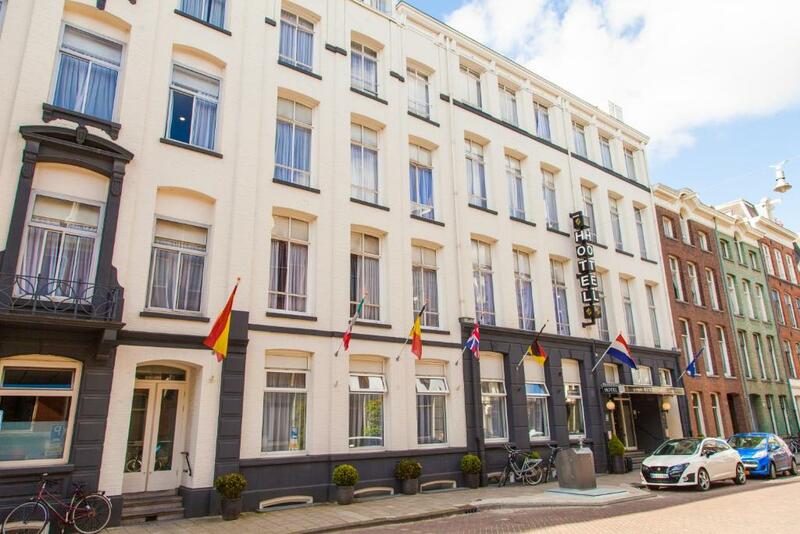 Stay next to the nature and calmness and yet close by many happenings and attractions of Amsterdam Clean and modern rooms are facilitate with a flat-screen TV, tea and coffee making facility, a laptop safe and a modern private bathroom. Free WiFi internet access is available in all rooms and in the public area. 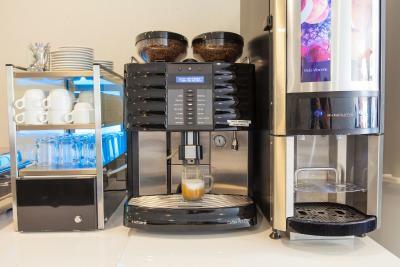 Grab a FREE cup of coffee any time at the reception. Guests can make use of the computer station in the lobby which has free internet access. 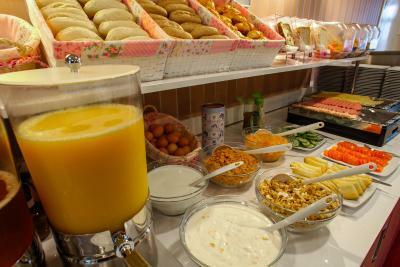 In the morning you can start the day with a breakfast buffet in the bright breakfast room with a view of the garden. . 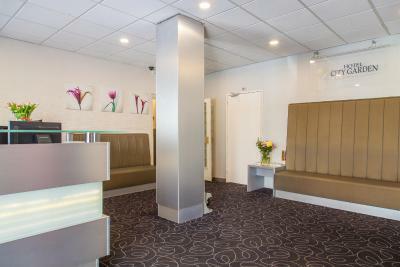 The hotel features a 24-hour front desk service. Receptionists are always helpful for guests who require advice about sights and attractions nearby. Take a walk at the lovely Vondelpark or rent a bike at the reception and explore Amsterdam in a Dutch way. 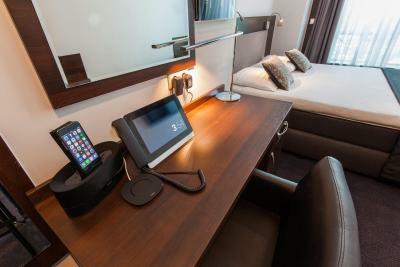 House Rules Hotel City Garden Amsterdam takes special requests – add in the next step! 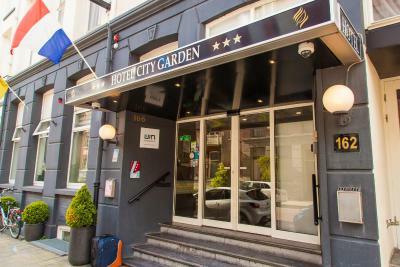 ATM card Hotel City Garden Amsterdam accepts these cards and reserves the right to temporarily hold an amount prior to arrival. 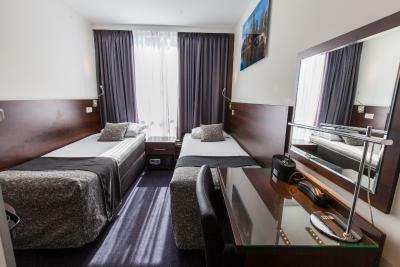 Hotel City Garden Amsterdam accepts these cards and reserves the right to temporarily hold an amount prior to arrival. Please note in case of a nonrefundable booking, the total price of the reservation may be charged anytime after booking. It will be charged in the guest's local currency. Please note that Hotel City Garden reserves the right to pre-authorize your card prior to arrival. 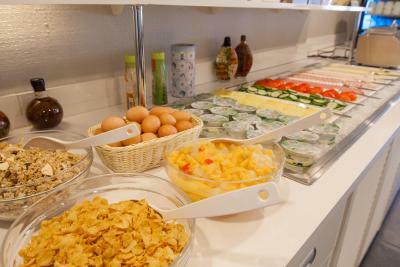 When booked 5 rooms or more, it will be considered as a group reservation. In this case the hotel reserves the right to ask a prepayment as a guarantee for the reservation. 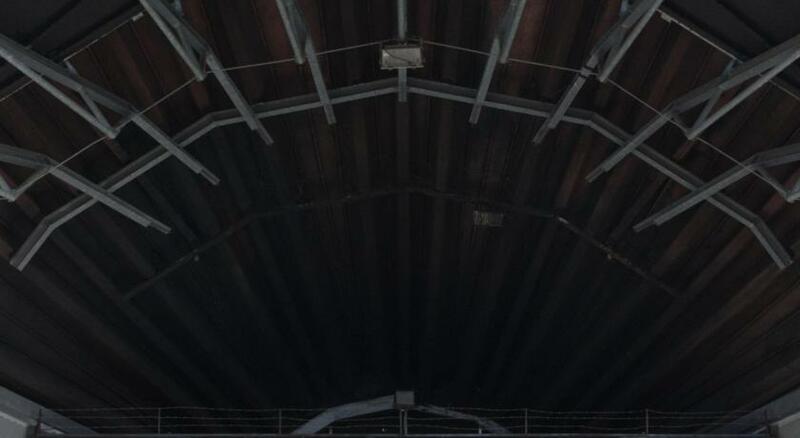 The prepayment amount is 10% of the total reservation value, acceptable by bank transfer only. Credit card payment is not acceptable for guarantee of reservation. Please note that such reservation will not be confirmed before the hotel receives the prepayment. The room was the size of a large closet. The mattress had a large dip in the middle. The duvet had obvious urine stains (under the cover). Towels were skimpy and one had a hole in it. Windows have no screens. They should improve how they should clean the room. The phone is not working and the lock of our bathroom is broken. Heater also jumped from hot to cold. Quaint location. Near the beautiful vondelpark. Free coffee all day. 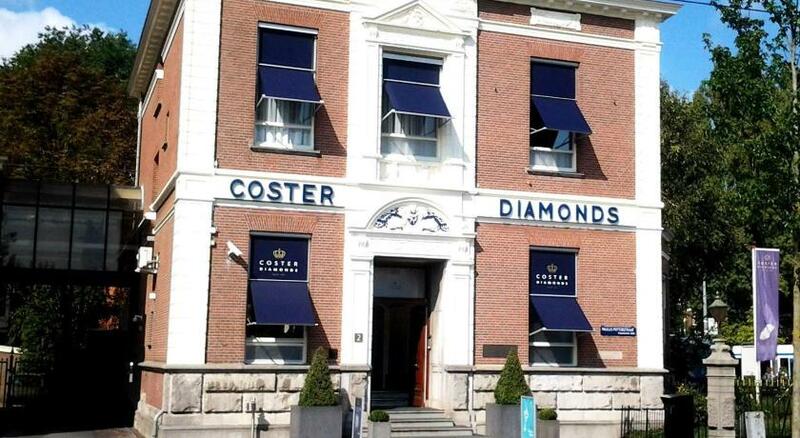 We would stay here again the next time we are back in the beautiful city of Amsterdam. 5 person room, two levels plenty of room for all! Lovely large windows that made the room airy and light. Great location just outside centre but walking distance from everything. The photos did not do the room justice! So much nicer and modern than we expected! Including the bathroom which was very clean. The staff were very accomodating and helpful! The breakfast started too late. I want to get an early start but breakfast did not start until 7:30. For the money, it was not worth it. I had to lean out the window to sweep the marijuana butts off the ledge. When I opened the window, the smell was too strong. I realize that this is how Amsterdam smells but it was unpleasant. I do not blame the cleaning staff for not thinking of cleaning the ledge outside the window but they should sweep off the butts if they see them. Seemed run down, uncared for. Shabby looking. Staff indifferent. Construction going on in room very near mine. Drilling, hammering. Staff did tell them to stop but that was already at 6:30pm. Started again at 10am. Staff shrugged it off. Not even an apology. I was told at check in breakfast was 12 euro! 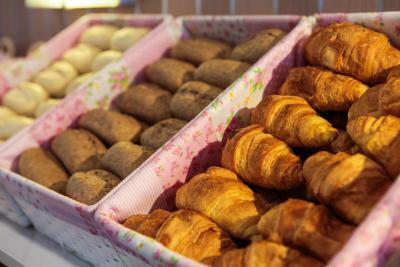 While it was a full spread I chose to go to a bakery about a block away rather than pay 12 euro. Our trash bags smelled like smoke and there were often smokers outside the hotel door, but think that’s just Amsterdam. The central heating was on constantly though the night. I tried to turn it off but wouldn't work , spoke to reception in the morning said someone would look at it but wasn't fixed. Room very uncomfortable.